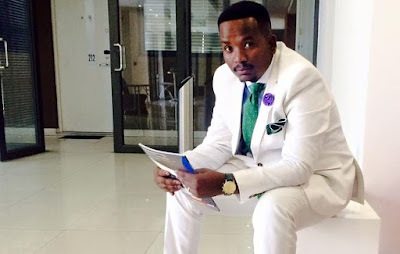 GoXtra News: We should congratulate S'fiso Ncwane for getting car finance! We should congratulate S'fiso Ncwane for getting car finance! Let's congratulate people for getting finance approved, not for cars they don't own yet, says Bishop Mashudu Ravhengani of of Living Power. Mashudu Ravhengani posted a very pleasant message on his Facebook Timeline - question, is the Bishop talking to S'fiso Ncwane who's allegedly struggling to pay the installments of the car he bought for Pastor Francis of the Rock Of Victory Ministries International Church in Newtown, Johannesburg. According to reports Ncwane took out a loan to finance the Mercedes-Benz GL 63 AMG. 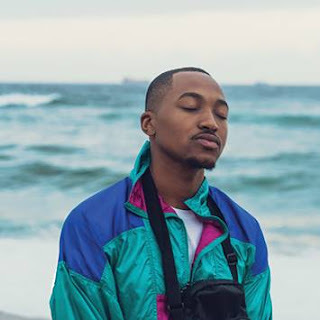 But the Kulingile Baba hit-maker is allegedly now struggling to pay the monthly installment of between R23,000 and R26,000, according to reports. Let's congratulate people for getting finance approved, not for cars they don't own yet. It is not easy to get car finance. You have to have a good job, travel allowance, or a business that is doing well in order to even be considered for finance. Then as required by NCR they must make sure that you can afford to pay back the loan over a particular period of time. Therefore, getting car finance approved is some sort of affirmation of your status in society, or at least it puts in a certain class. And the size of your credit also shows where you stand in that class. After your status has been affirmed, you then get a call from the car dealership that your car is ready for collection. Then comes the stressful time when you have to take pictures with the car ribbon on it for social media. You then have to post the pictures immediately with some nice message, may be, something religious like, thanking God for the new “blessing”. Then, FB responds with many “likes” and congratulation messages. What a moment! I am often not found among those congratulating people for their "blessings", I might just be jealousy. You see, I know people whose family finances became a mess and their marriages affected badly as a result of “buying” a new car. It is also a fact that every day hundreds of cars are getting repossessed. Instead of congratulating people for the new "blessings", let's congratulate them for getting finance approved, not for the cars they don't own yet. By the way, if you want to buy me a car, (I said “if”) I will only accept it when you bring the car and registration papers in my name. Don’t try to impress Bishop MJM Ravhengani with a big debt. My people, let’s wake up, and stop competing on who can get deeper into debt than others, that’s new form of slavery.